and will remain a very lucrative agribusiness in the years to come. throughout the year even when the rain is too much. drained and weed-free. Do not plant them in a place where plants of the tomatoes family like raspberries and eggplants have been previously. Planting: The best planting time is just when the rains are stopping. Watering: Drip irrigation at the root is required once per week. Fertilizing: Compost should be applied every so often. 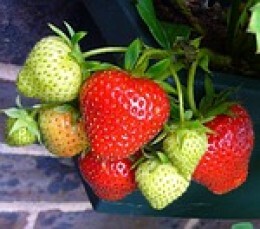 Strawberries are runners and it is therefore necessary to ensure that at least 12 inches between plants remains. Harvesting: Harvesting seasons come 2 or three times an year. fruit production, prune off the flowers the first time they appear. 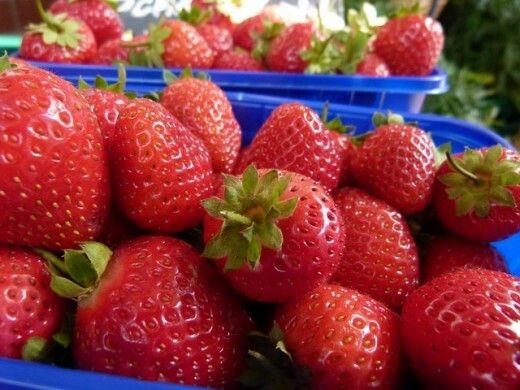 Marketing: See how to market strawberries in Kenya in this article. In the recent past, Kenyans have been very conscious about their health. Companies have been forced to go herbal so as to maintain their competitive edge. The versatility of the strawberry fruit makes it the perfect fruit for this. With the scent, taste and flavor properties it brings to the table, it is no wonder that all the counters in a supermarket are stocked with strawberry perfumes, yoghurts, scented bathing soap, ice creams and even air fresheners. Brookside and Delamere dairies have even started putting real strawberry fruits in their yoghurt and we cannot forget the fruits themselves and how expensive they sell at in the supermarkets. closer to the realization of the vision 2030.
strawberries are runners and allow the farmers to propagate them easily. infection or pests as this can spread to your new bed. The other thing to consider is that strawberries do no like rain. It causes wilting and reduces productivity. For this reason, the best place to plant your fruits would be in a greenhouse where drip irrigation is used to water the plants. In Kenya, the installation of a greenhouse will go for as little as 70,000. It is however important to invest in quality and modern greenhouses that are a little more expensive but sure to save you cash in the long run. tomato family like eggplants have not been to avoid diseases. makes the leaves susceptible to wilting. crop is productive for three years. is done every 2 to 3 days or daily when the weather is warmer. seedlings for a new crop. insects as well as diseases is also important. The best thing about strawberry growing in Kenya is that the demand is so high it is impossible to lack the market for your fruits. From fruit stalls to supermarkets, Dairy companies like Delamere to Brook-side, farmers will in fact struggle to satisfy the current demand.